342 pages | 13 B/W Illus. 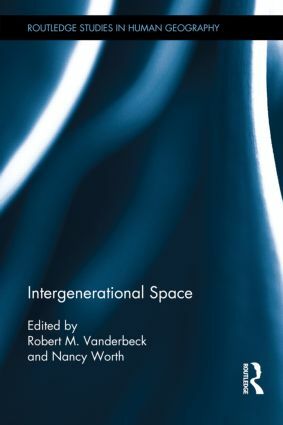 Intergenerational Space offers insight into the transforming relationships between younger and older members of contemporary societies. The chapter selection brings together scholars from around the world in order to address pressing questions both about the nature of contemporary generational divisions as well as the complex ways in which members of different generations are (and can be) involved in each other’s lives. These questions include: how do particular kinds of spaces and spatial arrangements (e.g. cities, neighbourhoods, institutions, leisure sites) facilitate and limit intergenerational contact and encounters? What processes and spaces influence the intergenerational negotiation and contestation of values, beliefs, and social memory, producing patterns of both continuity and change? And if generational separation and segregation are in fact significant social problems across a range of contexts—as a significant body of research and commentary attests—how can this be ameliorated? The chapters in this collection make original contributions to these debates drawing on original research from Belgium, China, Finland, Poland, Senegal, Singapore, Tanzania, Uganda, the United States and the United Kingdom. Robert M. Vanderbeck is Senior Lecturer in Human Geography at the University of Leeds. His research focuses on contemporary processes of social exclusion and inclusion, with particular emphases on childhood, youth and intergenerational relations; sexualities; religion; and urban public spaces. His work has been published in numerous journals including Annals of the AAG, Transactions of the IBG, Urban Geography, Urban Studies, Religion, Sexualities and Children’s Geographies. Nancy Worth is a Banting Fellow in the School of Geography and Earth Sciences at McMaster University, Canada. Her current research examines work and social life with millennial women. She has published on temporality, sociality, mobilities, lifecourse research praxis and young people's transition to adulthood in journals such as Area, Geoforum,the Journal of Geography in Higher Education, Social & Cultural Geography and Urban Studies.